The Volunteer Management Word That Makes My Head Explode! Wait for it, my head’s going to explode! So, ok, how did one little word cause this disconnect between Hal and his supervisor? Did you spot that fiend in the title of the volunteer management presentation? Six Easy Steps to Recruiting Skilled Volunteers With Staying Power. Did you see it? That slimy, rotten word that absolutely makes volunteer managers’ jobs a living nightmare? The evil word is easy. Or substitute these similar back-stabbing words: Tried and true, sure-fire, simple, foolproof, fail-safe, reliable. Sorry to rant here, but this has had my temples throbbing for years and years and I still see these treacherous words, in conference session titles, and in internet articles. Besides, my question for the presenter or author is: Why would you want to sell yourself short anyway? Why give the impression that the work you are presenting is without sweat and long hours? I’ll bet you worked your tail off to implement your methods, so why not say so? I remember raising my hand and asking questions about the challenges and pitfalls of presenters’ programs and some would just smile and not want to talk about it, and others would reluctantly open up and let the audience know that their programs were fraught with difficulties. How refreshing. So, instead of using simplistic words, how about we all give a nod to the complexities of volunteer engagement? Can we not term our offerings a bit more realistically? 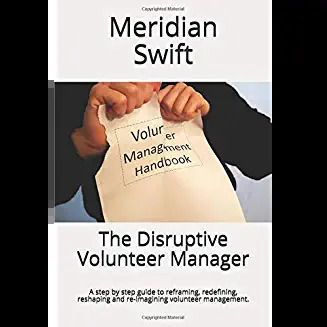 Instead of using the head-blow upping word easy or any of its evil twins, why can’t we use words like skilled, ambitious, or advanced, complex, or even “God awful hard but worth it?” Why would we ever give the impression that cultivating a volunteer force is simple? We know that volunteer management isn’t about tea parties and a few “easy” phone calls. So if instead it’s about real skills and thought and hard, hard work, let’s make sure we don’t give the wrong impression. (And by doing so, keep our heads intact). Yes! Spot an as always, thank you. Working with volunteers means working with people. As a result A+B+C doesn’t always equal D. There are no magic solutions, no shortcuts to success. What is needed is thoughtfulness about volunteers and volunteering, strategic clarity and real, meaningful effort. Spot on as always Rob. I think these people want an ‘easy’ option and working with people is not a pure science as you say. With volunteers A+B can equal Z by the time you find the right solution and that’s the thing, you want to take a person-based approach rather than an outcomes/outputs one! Good job we all love a challenge! Thank you Rob for your wisdom and experience regarding this subject and especially for educating organizations on the complexities and uniqueness of each volunteer program. I love your “meaningful effort” and “strategic clarity” phrases-I hope volunteer managers everywhere use them! 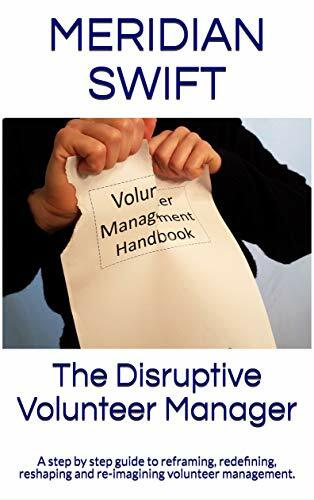 So volunteer management is “easy” – don’t make me laugh !!! Clearly, this supervisor knew next-to-nothing about volunteering and Hal’s work as a manager of volunteers. Shameful. And why wasn’t Hal able to attend the conference where he could have done the networking and on-the-spot learning for himself? No wonder you (and a lot of us) need ‘a cup of tea and a lie down’. Hi Sue and Eileen-I do think a lot of VMs are overlooked when it comes to allocating the funds to attend conferences, and sadly a great deal of conferences do not have many volunteer themed presentations. And, the larger question is, why doesn’t the senior management team attend volunteer services presentations?